This is the sprawling ONE Story Home of Your Dreams! 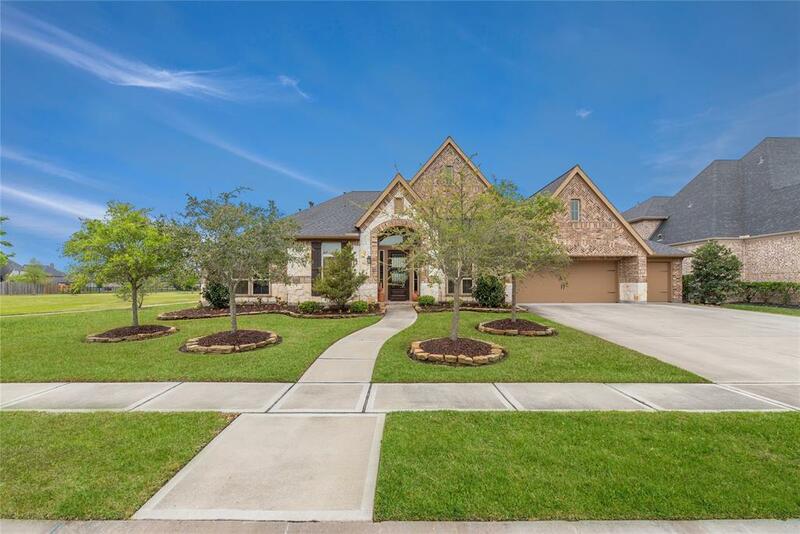 Welcome to 27715 Rumson on a private and spacious homesite in Katy! Get ready to be knocked off your feet the moment you step inside because you will catch yourself saying "WOW" in every single room! 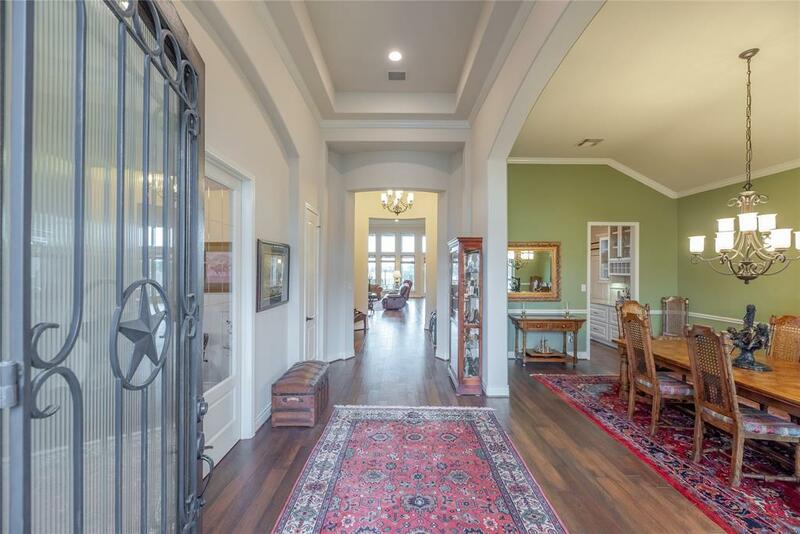 This gorgeous home has a spectacular grand entry, a circular rotunda, and is THE definition of an open floor plan drenched in natural light. Exquisite hand scraped Pecan Hardwood flooring is stunning! This home is full of features the entire family will love, but the Owner's Retreat is first prize! 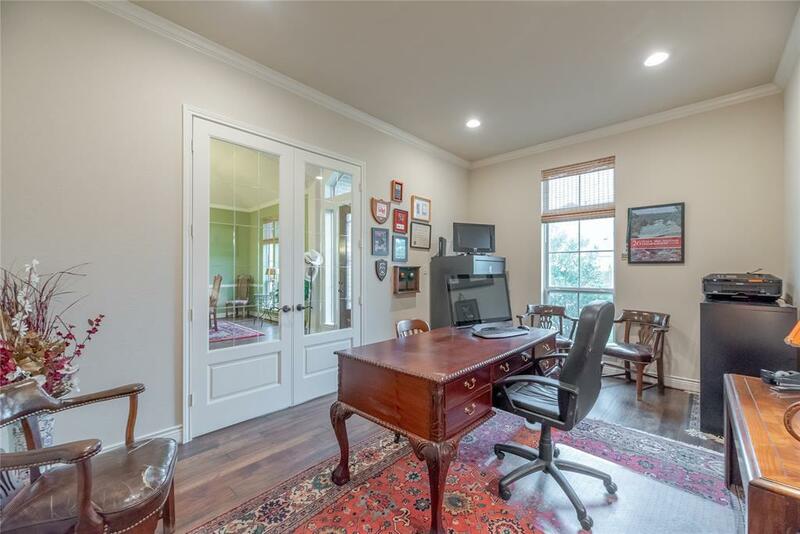 Two Texas-sized master walk-in closets (with direct access to the utility room), a car wash-sized steam shower, transom windows that light the gorgeous soaking tub and dual vanities. WOW! A Chef's kitchen, butler's pantry, game room, 5-Car Garage, and a gorgeous view of the lake from the enormous backyard! 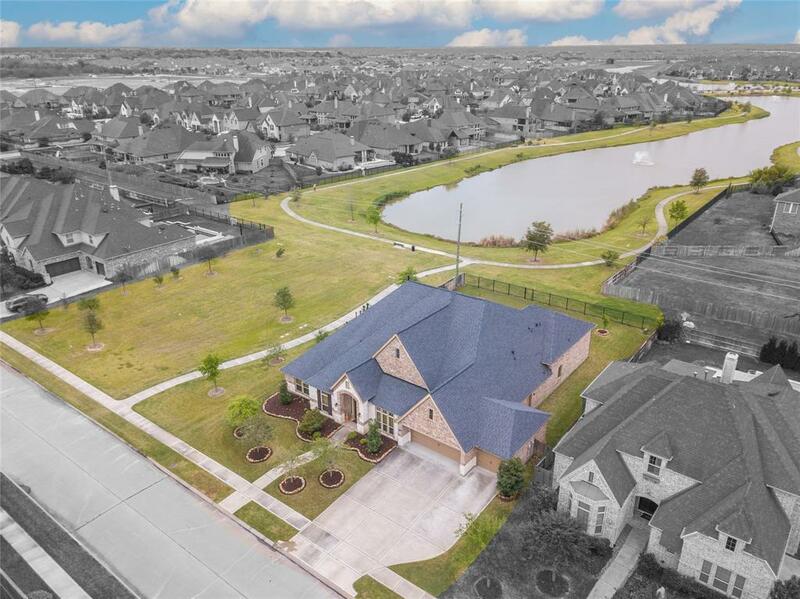 Quick access to IH-10 and zoned to Katy ISD Schools. Make sure to watch the attached video tour, then schedule your private showing today!